Turns out that your pillow may be as valuable as your barbell when it comes to building a stronger, leaner physique. You also get faster, leaner and stronger while you recover, so it stands to reason that you should be making this a priority. But recovery isn’t simply a matter of post-workout protein and waxy maize – it’s a matter of rest. Or, more specifically, sleep. 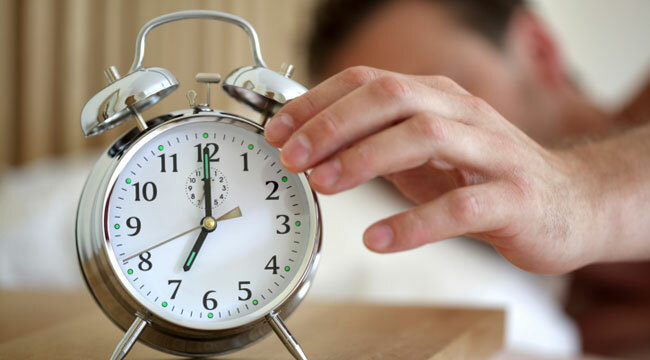 While a great many of us build our schedules around workouts, fewer of us offer the same deference to our sleep, choosing instead to stay up late for zombies, or wake up at sunrise to catch some empty stomach cardio. But this lack of devotion to sleep might just be the missing element in your quest for a better body. Muscle-building, fat-burning and athletic performance are all diminished by sleep deprivation. You may not feel deprived but the pounds you’re lifting – or carrying around your waistline – may tell a different story. So it makes sense that if you want to recover and grow, you also need to sleep to secrete enough GH. Sleep is – wait for it – the the most anabolic thing you can do for your muscles and if you’re not getting enough, you’re just not growing as fast as you can. Folks who are underslept may think that they are more likely to burn fat than those who get more sleep. “If I’m up and about, I’ll be burning more calories,” they think. They’d be right…and wrong. But there’s more. Lack of sleep also enhances your body’s production of the catabolic stress hormone cortisol. Cortisol increases as you become more sleep deprived, which intern can alter thyroid stimulating hormone, your key metabolic regulator. To reduce cortisol, you need to relax and sleep. Too much cortisol has been shown to increase belly fat in males. Lack of sleep can also affect your hunger hormone, ghrelin, which can cause you to overeat. Insulin secretion and the ability to respond to insulin can decrease up to 30 percent. The better sleep you get, the better your growth hormone secretion, the less likely you are to store fat as you slumber. There is a reason why your coach always told you to go to bed early before a game. With lousy sleep comes lousy focus, compromising your central nervous system’s clout. Your nervous system is responsible for power output, mental clarity, reaction and proprioception. If you find a decrease in any of these attributes, you lose the ability to perform at your optimal level and this applies whether you’re playing your favorite sport or you’re gearing up for a set of heavy deadlifts. From a physiological standpoint, fatigue diminishes energy output, stifles concentration skills and enhances distractability, which makes it far easier to shirk on your workout responsibilities, especially towards the end of a workout as physical fatigue compounds mental fatigue. It is also not surprising that this lack of concentration can lead to a much greater risk of injury. The slightest fatigue-induced deviation in form or improper muscle recruitment can leave you more bedridden than you want to be.